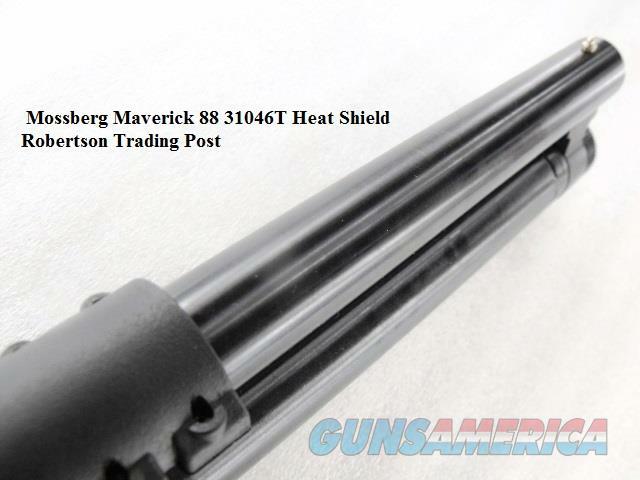 Heat shield not included for buyers in CA, CT and NY. 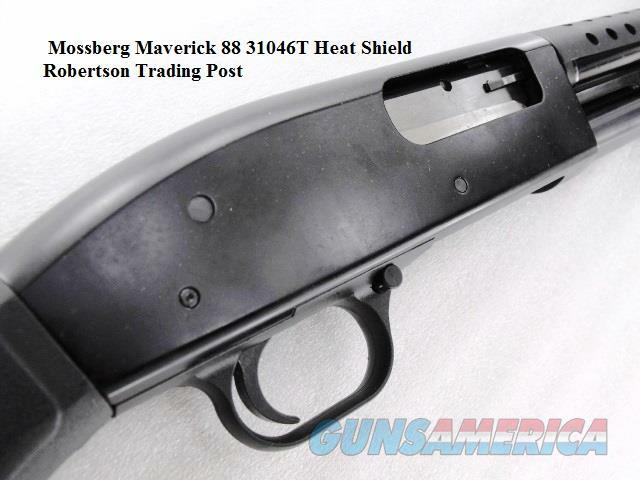 Here is Mossberg’s most effective tactical shotgun for the money, the Maverick 12 gauge 8 shot. 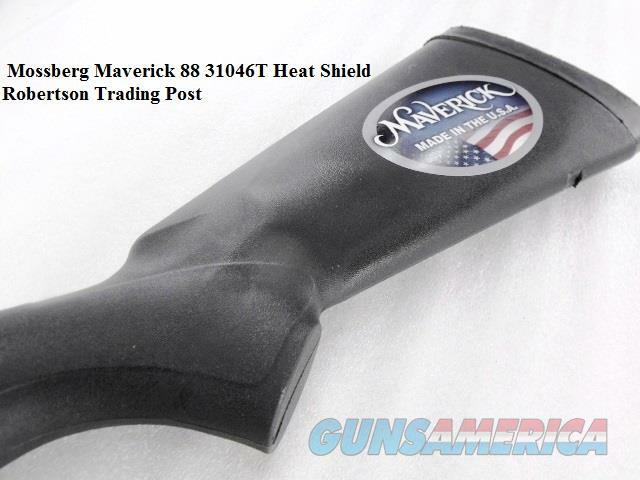 Manufacturer and warrantor is Maverick Arms of Eagle Pass, Texas, part of Mossberg. 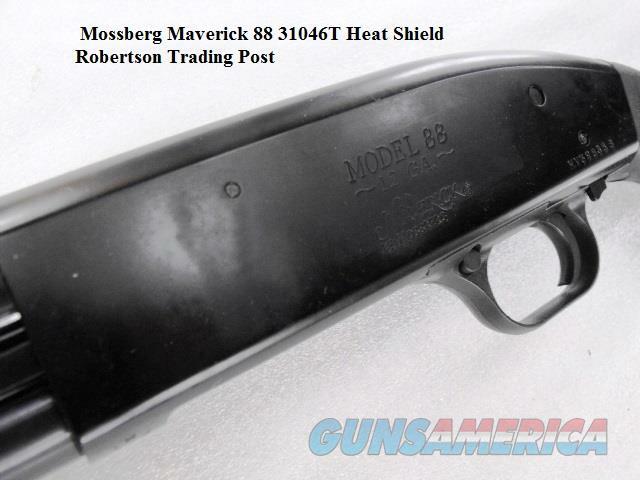 Construction is steel barrel, magazine tube, bolt, and internal parts assembled into a lightweight alloy receiver based on the tried and true 500 series Mossbergs. 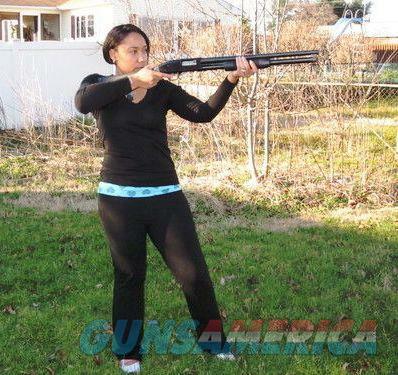 Type is pump or slide action shotgun. 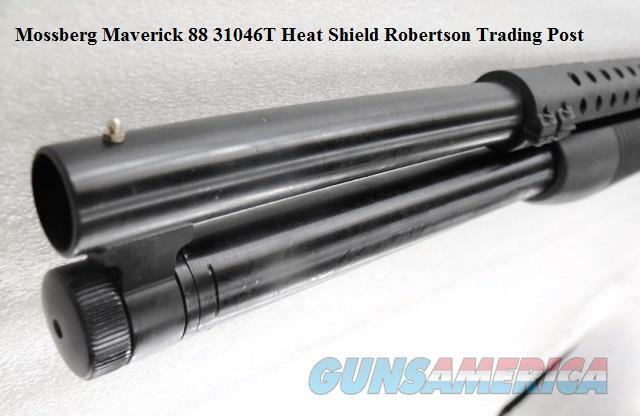 Barrel is 20 inch .722 vicinity Cylinder Bore, capable of handling any loads from steel shot to rifled slugs. Sight is conventional hex base brass. 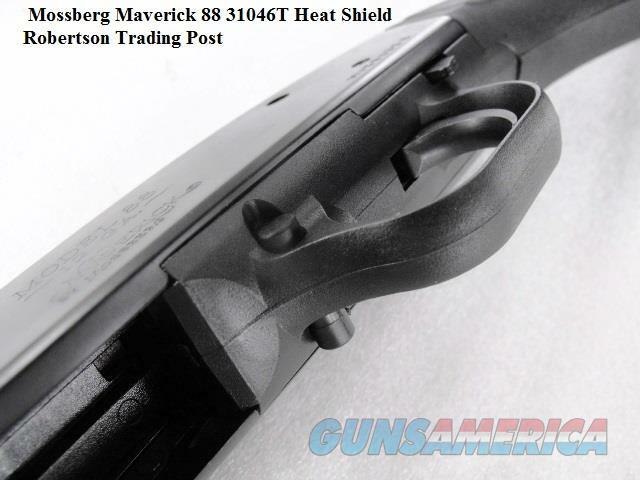 We have outfitted the barrel with a Masen Company polymer vented heat shield, somewhat on the order of the blue steel shields that came on the famous Winchester 97 Trench Guns. Chambering is 12 gauge, for 2 3/4 inch and 3 inch shells interchangeably, and the 88 will digest anything from steel shot to rifled slugs. 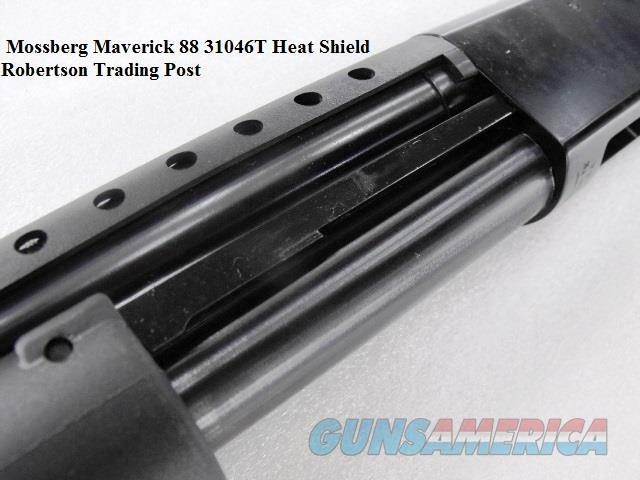 Magazine is full length steel, holds up to 7 each 2 3/4 inch shells, or 6 each 3 inch; fully loaded capacity is 7 + 1 on 2 3/4 inch. 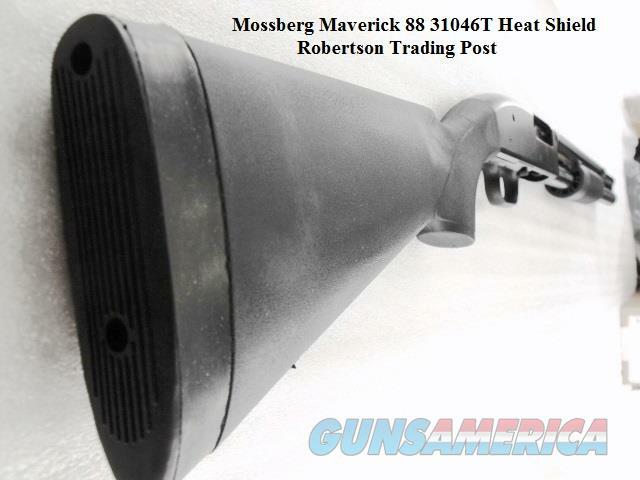 This shotgun will accept Mossberg 500 barrels whose lugs are positioned for a 7 shot magazine, 18 3/4 inches clearance between the receiver and the lug. 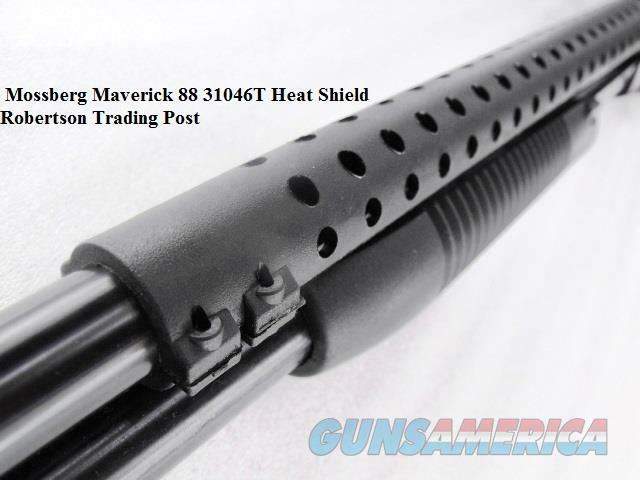 Classic police corn cob type forend assembly has double steel slide bars with new style lateral pin anchors.Trigger housing is high impact polymer like the parent 500. Safety is non reversible for right hand shooter, mounted just forward of the trigger. Slide release is on the trigger’s left side as the photos show. Stock and forend are graphite based black synthetic. Barrel lug cap is drilled for sling stud, and buttstock has a dovetail flat for stock stud, but studs are not included. 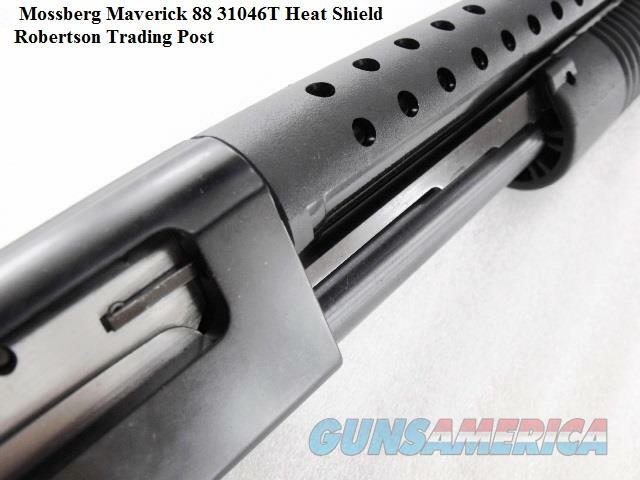 Buttstock length of pull measures 14 1/2 inches from the trigger face to the end of the 1 inch recoil pad, with a 3/4 inch right hand cant. 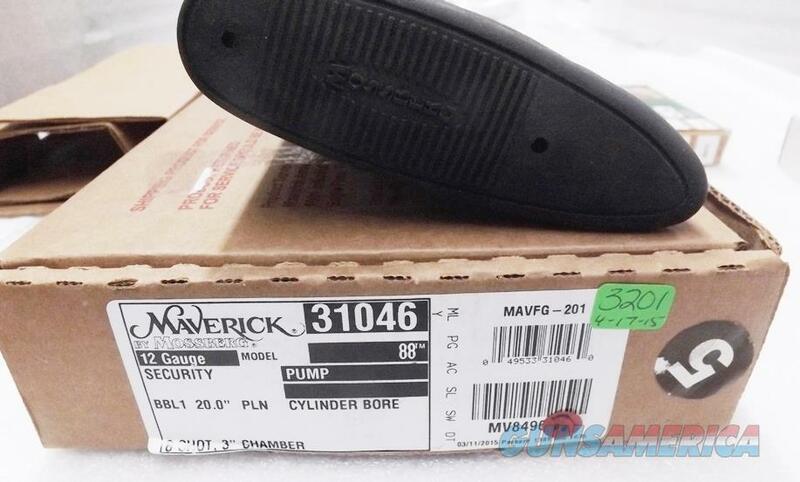 Weight empty is 6 pounds 9 ounces, with center of gravity at the breech face, or approximately 7 1/2 pounds loaded with Winchester 3 inch OO Buck. Overall length is a compact 40 1/2 inches. Each 88 comes in its factory box with protective papers, factory cable lock, and instruction manual that includes its 1 year warranty statement. Retail price on similarly outfitted 870s and 590s in our area now exceeds the $500 mark. 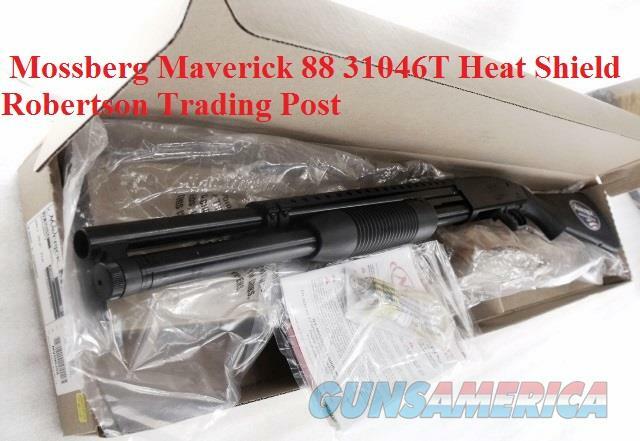 We're offering the 88 Maverick, in the photos, however, or one of its identical mates	for only	$ 219.00	Not transferable to civilian residents of New York City, or any jurisdiction where 7 or 8 Shot Pump Shotguns are restricted to Law Enforcement Only. 2% discount if payment is with USPS Money Order & Not Credit Card. Any ammunition or personnel are Not included. .>>>>> NEVER buy a gun for someone else, that’s like a felony straw purchase. $20 shipping lower 48; $60 AK, Guam, HI, PR, UPS Ground or USPS Priority fully insured. NO AMEX NO PAYPAL. MC/Visa/Discover/USPS MO paid orders shipped ASAP. 7 day hold on checks. FFL ok by fax, e-mail or mail, please ask your dealer to put your name and Gun Brand on there. 7 day money back on used, BUT no return / refund on New, layaway, or ammo. We do not pay transfer fees or return shipping. Lay-away 20% down, balance in 90 days. Phone hours 8:00 – 5:00 CST Mon - Fri CST. Local pickup OK. Robertson Trading Post 117 Front Street PO Box 365 Henderson, Tennessee 38340 We Buy, Sell, or Trade. We always have, since 1952.